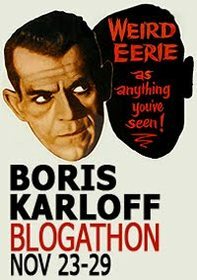 To celebrate the 122nd birthday of horror legend Boris Karloff, the blog Frankensteinia (an Internet destination recommended without hesitation to anyone with the slightest interest in horror) is running a Boris Karloff Blogathon all this week. Over 100 sites, including Classic-Horror.com, have pledged to make a Karloff-centric post between today, November 23rd and Sunday, November 29th. 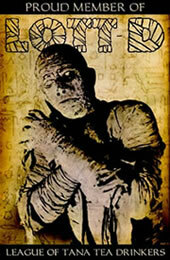 Check out the first day of Karloff posts, including a special thank you message from Sara Karloff, Boris's daughter. I'm still working on Classic-Horror's contribution, but let me just say that if you've enjoyed our past tributes to Universal monsters and Peter Cushing's Baron Frankenstein, you should dig what we're cooking up here. Submitted by Anonymous (not verified) on Tue, 2010-02-16 23:07. One of my favorite trivia questions for people in their 20's who just "Love" "The Grinch Who Stole Christmas", is "who is the story teller - these are all people who claim to love horror movies....... How we love Boris Karloff!!! !